The stand-up pouch is the most reliable packing method for juices, dairy products, salad dressing, soups, spices, detergents and more. PDP-4 is designed on a mechanical rotary platform base with pneumatic assemblies. Extreme flexibility is the machines’ greatest asset. 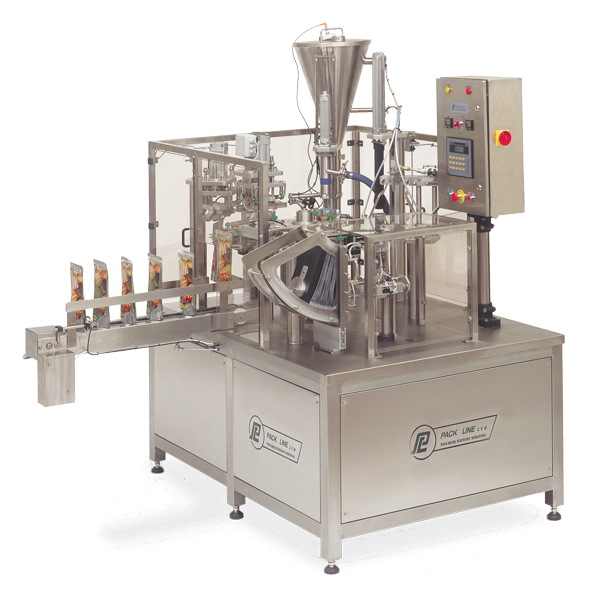 The lines operate with fillers for liquid, dry or powdered paste and hot products. The machine adjustments for different pouch sizes are fast and easy.